Sacked cardinal issues manifesto in thinly veiled attack on pope - SABC News - Breaking news, special reports, world, business, sport coverage of all South African current events. Africa's news leader. 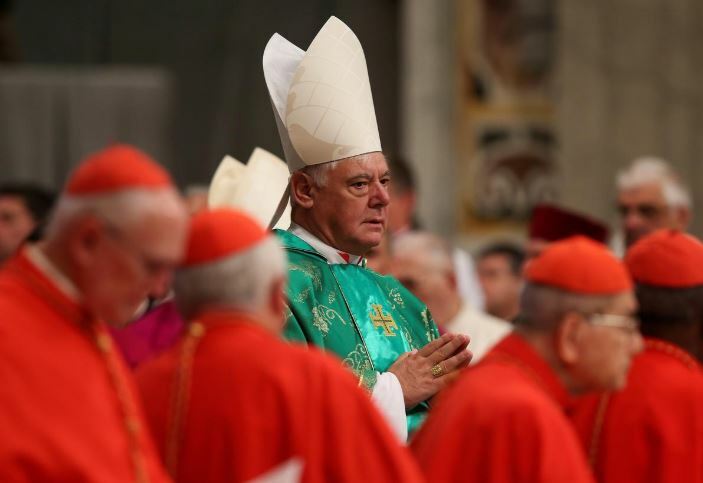 Cardinal Gerhard Mueller has ramped up his criticism of the pope since Francis removed him as head of the Vatican’s Congregation for the Doctrine of the Faith in 2017. The manifesto was dated February 10, the sixth anniversary of the eve of former Pope Benedict’s announcement of his resignation. Benedict, 91, remains an icon for conservative Catholics. Mueller, who did not mention the pope, is one of a handful of conservative cardinals who have openly accused Francis of sowing confusion. This entry was posted on 10 Feb 2019,08:06AM at 8:06 AM and is filed under Lifestyle, Homepage Latest Stories Slider. You can follow any responses to this entry through the RSS 2.0 feed. Both comments and pings are currently closed.